Two jailed for taking 18 driving tests | What Car? Two men have been jailed after working together to take 18 driving tests for other people. The pair were jailed at Croydon Crown Court for conspiracy to obtain driving test past certificates by deception. Charles Egonye, 38, of Stondon Park, London, pleaded guilty to sitting the practical driving test on behalf of 18 people between February 2004 and March 2006. Christopher Reid, 34, of Forest Hill, London, was described in court as a 'facilitator.' He was found guilty of using both his credit card and car in order to aid Egonye in his activities. Egonye was handed a one-year jail term and Reid, 34, a six-month sentence. 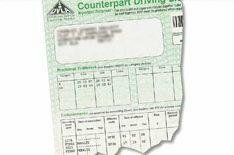 Following the sentencing, the Driving Standards Agency warned that it is stepping up efforts to catch and prosecute anyone taking a driving test under false pretences. As well as a driving qualification, many people seek possession of a full driving licence to establish proof of their identity in order to gain other identity documents and a credit standing within this country.